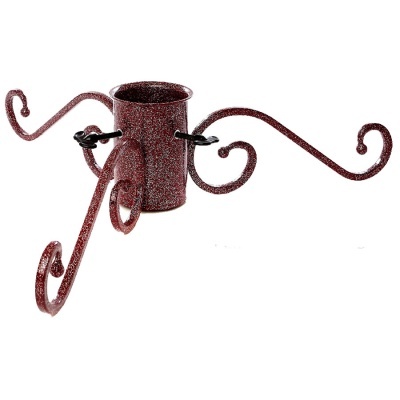 Tom Chambers Noble 5" Christmas Tree Stand - Mulberry Red stylish Christmas tree stand design with elegant scrolled legs, supporting a watertight and heavy duty base. Accommodates and stabilises any real cut Christmas tree with trunk up-to 13cm (5'inch) diameter. Easy use thumbscrews with new styled screw fixing that improves the look and finish. Finished in festive, sparkling mulberry Red colour coating. Manufactured in the UK. Other sizes and colours available separately in our range.